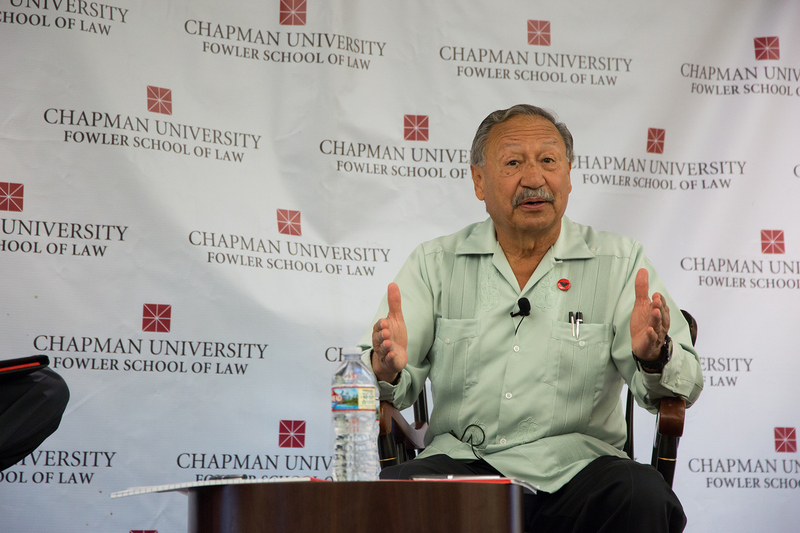 Following in the footsteps of legendary American labor leader and civil rights activist Cesar Chavez is no easy task, but Arturo S. Rodriguez has carved out his own legacy in the 24 years since he assumed the presidency of the United Farm Workers of America (UFW). 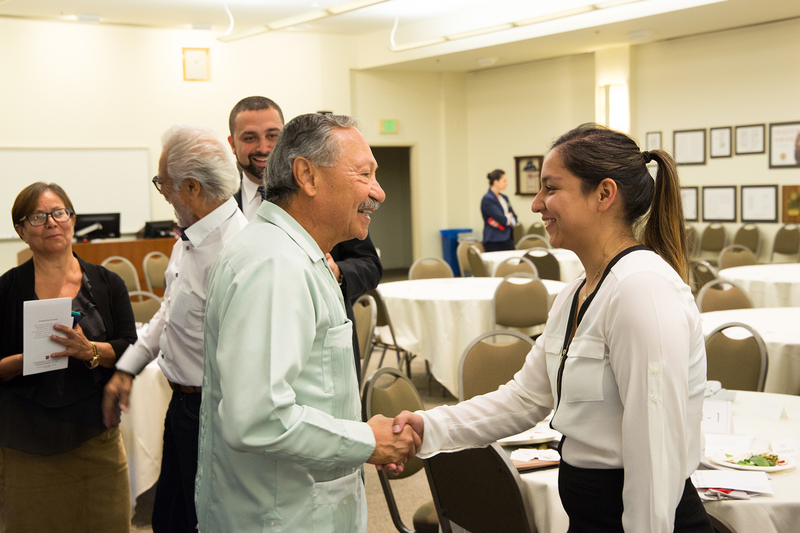 As president, Rodriguez has advocated on behalf of the country’s farm workers, pushed for historic legislation, and worked with key grower associations to protect workers, consumers, and the industry. 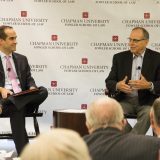 After an opening presentation, Rodriguez and Dean Parlow discussed the efforts UFW has made to bring about meaningful change for farm workers in California and across the country, including negotiations for fair hours and wages, regulations to keep farm workers safe in extreme heat, and efforts to regulate the use of pesticides. 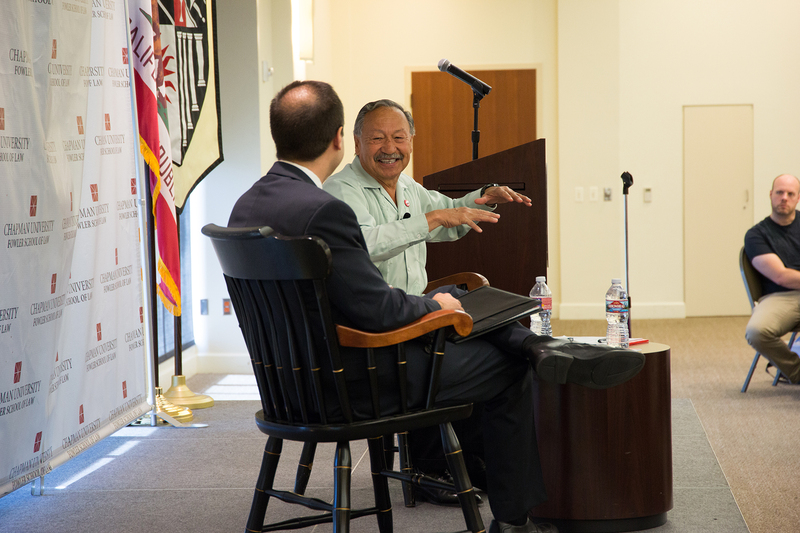 Throughout the conversation, Rodriguez wove stories about the day-to-day lives of the farm workers he met across the state – from the Coachella Valley to Sacramento and the San Joaquin Valley – into a broader discussion of legal and policy-based initiatives. Rodriquez expanded upon key initiatives, such as the UFW’s longstanding efforts to protect workers from the dangers of extreme heat. 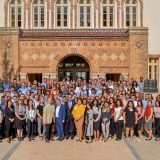 A campaign that began 25 years ago, Rodriguez described the organization’s work with Governors Arnold Schwarzenegger and Jerry Brown to create heat regulations — now in effect — to ensure employers provide periods of respite in the shade, sufficient water, and medical assistance to workers. Rodriguez also described other areas where UFW has pushed for legislative changes to protect workers. 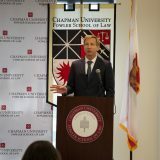 He led negotiations with the country’s major grower associations to develop the agricultural provisions of a comprehensive immigration reform bill passed by the U.S. Senate in 2013, and he and the UFW worked closely with the White House on former President Barack Obama’s 2014 executive order on immigration. UFW also sponsored a bill in California, signed into law last year by Govorner Brown, that established overtime pay for farm workers on workdays exceeding 8 hours. 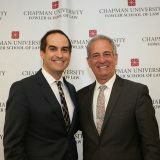 The California law was the first of its kind in the United States, and Rodriguez plans to advocate for similar policies on a national level. 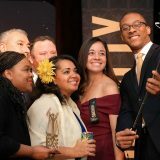 “We’ve been fortunate to be able to develop legislation that will be supportive and erase some of the injustices that have been done throughout the years to farm workers,” he said. Rodriguez also addressed a number of changes in the agricultural industry, such as the impact from the consolidation of retailers and the rise of “big box” stores. These market shifts have led to consumer demand for year-round produce and significant increases in imports from Chile, Mexico, Nicauragua, and other countries. UFW has responded to these changes with outreach to workers abroad as well as other constituencies – including Costco and other major retailers – and the development of innovative cooperative programs. In one such program, the Equitable Food Initiative, a consortium of major food buyers, growers, farm worker groups, and consumer advocates established a certification process to ensure that farm workers earn a dignified livelihood, that growers have a stable and professionally trained agricultural workforce, and that food is safer and more sustainable. 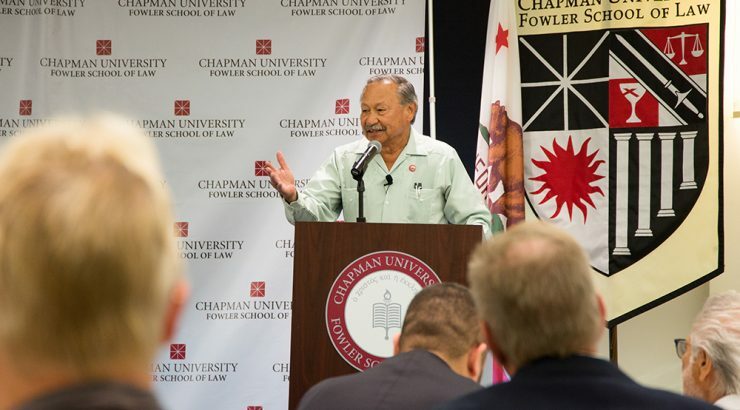 Since taking over as president of UFW, Rodriguez has helped the organization dramatically increase union membership to extend protections to farm workers. In the future, Rodriguez told the audience, the UFW hopes that those members can help ensure safer working conditions by reporting violations of workers’ rights directly to the UFW via social media. 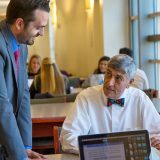 Learn more about Arturo S. Rodriguez.